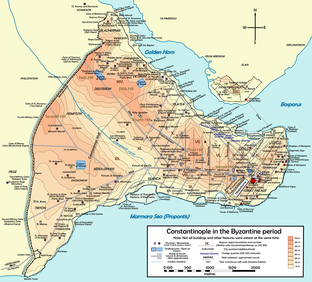 The fall of Constantinople on Tuesday, May 29, 1453 (Julian Calendar) can be considered a dividing line in World History. Preceding it was the Dark Ages and after it, the Renaissance. 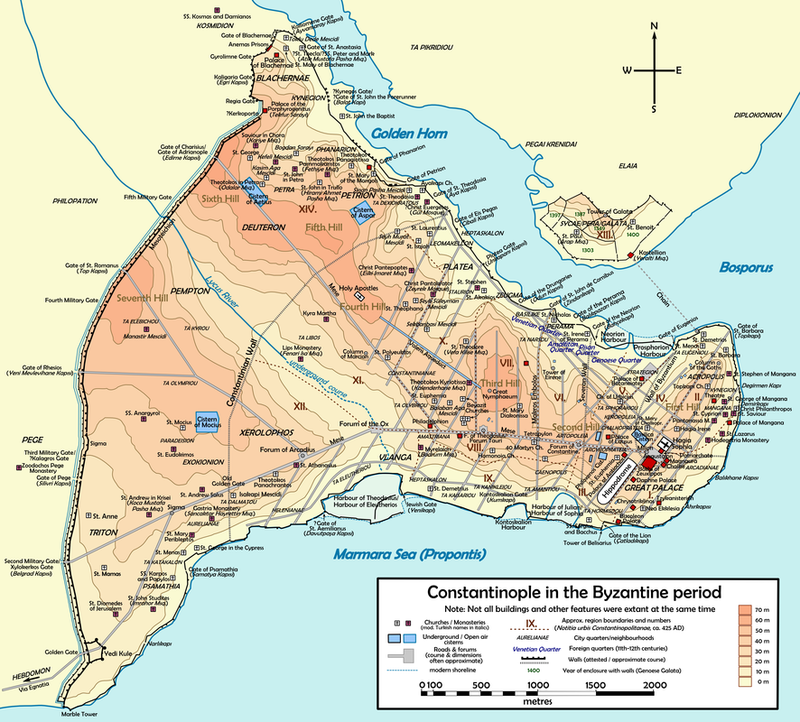 The fall of Constantinople was the cause of so many people fleeing to the West and bringing the Greek Language with them. In the second half of the 15th century, Greek was introduced into England, France and Germany. This lead to the creation of the Bible (Martin Luther) and Protestantism. 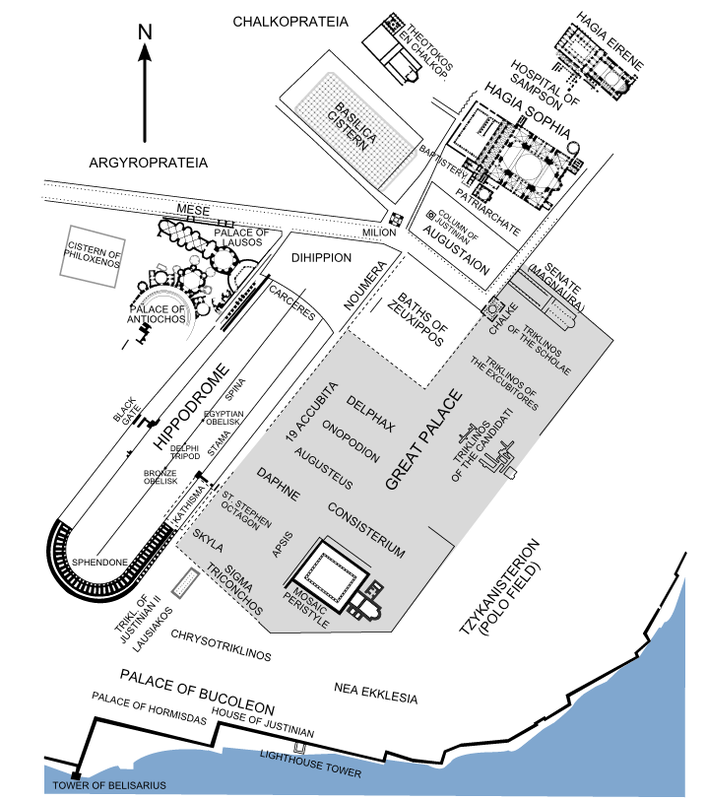 The forum of Arcadia and the underground river are nearby. The authors of "Holy Blood, Holy Grail" may be on to something. Click on the image for a larger version. 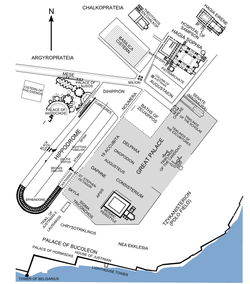 The Imperial District of Constantinople. Click for a larger image. Aerial view of Constantinople during the Byzantine era. Click on picture for a larger image.